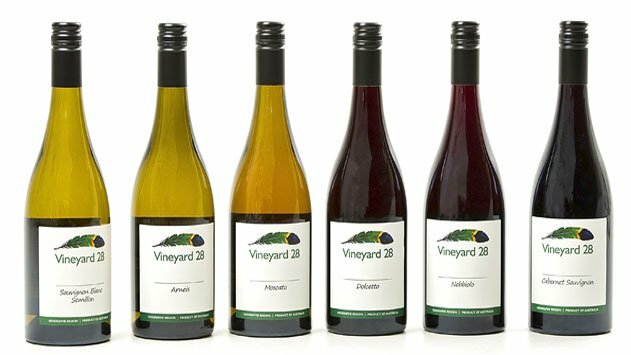 Wines made with passion for you to enjoy, from Vineyard 28. Escape to experience a little Italy in Geographe – no passport required. Turn off the Forrest Highway, travel west across the ancient limestone, through the native bush, and arrive four minutes later at the Vineyard 28 Cellar Door. An oasis situated on the old Harvey River flats with panoramic views to the East taking in the Darling Scarp. 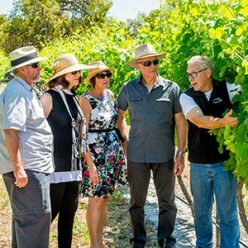 Vineyard 28 is a family owned boutique vineyard and winery where you will meet Mark & Pippa Cumbers who have made their home here. 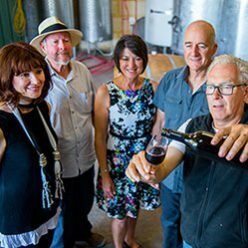 Take the time to visit them at their cellar door and experience the Italian grape varieties and wine styles that they are passionate about growing and making. The Vineyard 28 Cellar Door is a warm and welcoming place, brimming with colour, vibrancy, passion, creativity and of course wine. Outside there is a shaded picnic area where you are encouraged to bring your own food to enjoy. Wine – Art – Quilts all combine here. Pop in and meet the owners, Mark & Pippa. 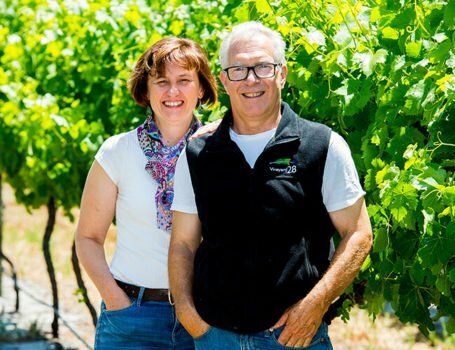 Find out more about their story – how a Kiwi girl met a West Australian boy in Melbourne, and for the past 20 years have made Vineyard 28 and Harvey their family home. A wine tasting experience is truly unique here with their Piemontese grape varieties on offer. Take a trip to Italy – no Passport required and book yourself into our Taste of Italy Tour. A fabulous way to experience all that Vineyard 28 has to offer. The cellar door has a lovely picnic area and BBQ facilities for you to bring along your own food to enjoy. 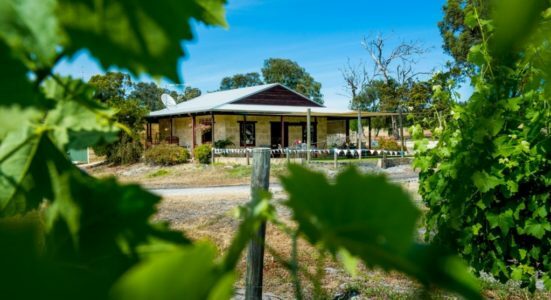 Only 1½ hours south of Perth – conveniently located just off the Forrest Highway – approx 5km south of Preston Beach in the Geographe Wine Region. Caravan turn around available within our carpark. Friendly dogs are welcome on a lead. 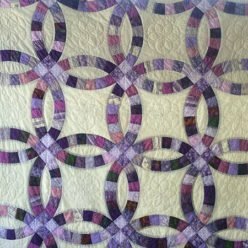 The cellar door is home to a colourful array of patchwork quilts, handmade craft items, and art – all produced by local artisans. Pippa herself is a quilt maker and you may be fortunate to see her work on display. Vineyard 28 has its own ‘concierge’ or meet and greet of the furry kind. 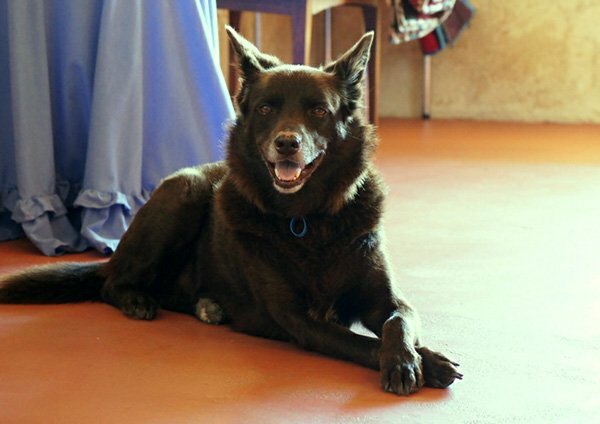 As you park your car you will most likely be met by Jasper, a Red Cloud Kelpie, meandering across the car park. He may greet you with a bark or 2, but he’ll definitely be wagging his tail, as he believes you’ve come especially to visit him. Jasper loves people, other dogs and is child friendly. 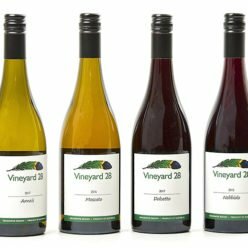 Vineyard 28 – something for everyone. Colour, vibrancy, warmth, creativity, passion and wine all combine here. Picnic and BBQ Facilities are provided for visitors to enjoy (bring your own picnic or bbq). Vineyard and Wine Tours are available by appointment. Arneis, Nebbiolo , Moscato, Dolcetto for you to enjoy. Our wines are also available to purchase on line. or attempt to purchase, liquor on licensed or regulated premises. Producers Licence No: 6180088658|Licensee: Cumbers WA Pty Ltd | Approved Managers: Kimberley Mark Cumbers and Pippa Ann Nielsen.